Jim Hall is an experienced Piper who has played in every continent in the world over the past thirty years. Originally from Alloa, Central Scotland. 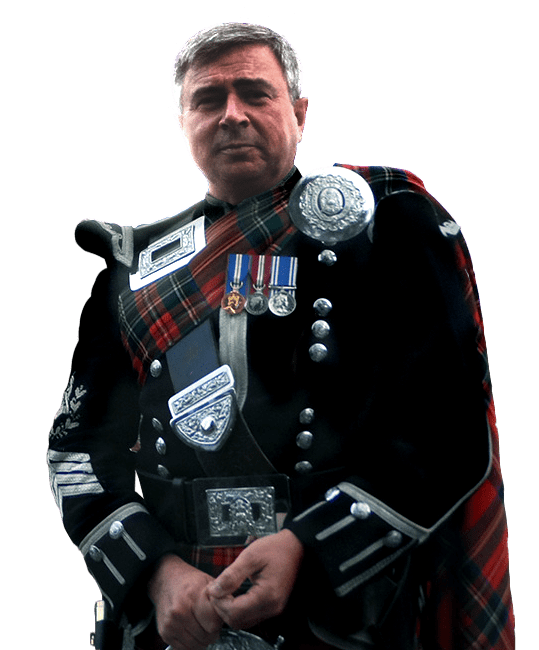 Jim joined the Army at sixteen years of age and was instructed at the Army school of Bagpipe Music at Bridge of Don Aberdeen and later at the Army school of Piping Edinburgh Castle. Jim served with The 1st Battalion The Argyll And Sutherland Highlanders. 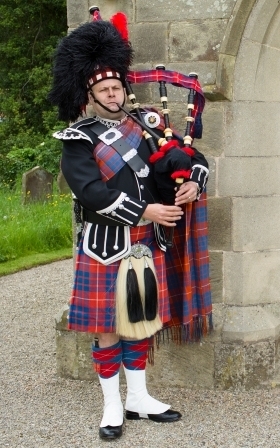 Jim spent many years in London where he was Pipe Major of the British Airways Pipeband. He has performed in Scotland, England, Australia, Denmark, Eire, USA, Canada, Belize, Costa Rica, El salvador, Panama, Honduras, Zambia, Greece, France, Italy, Taiwan, The Philipines, South Korea, Australia and The Falkland Islands. Jim has played for members of the Royal family including her majesty Queen Elizabeth II and for the British and Australian Prime ministers. Jim is now resident in Seaham County Durham in the North East of England. We booked Jim to play at our son and our future daughter in laws wedding. Jim had arrived at the church early and had made himself familiar with the surroundings. 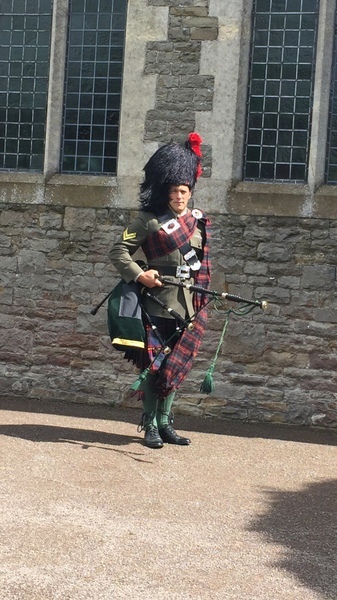 He looked absolutely fantastic in full highland dress and when he began to play the pipes it made the hairs stand up on your body. We left the choice of music to Jim and he played the right tunes at the right times. He was very friendly and obliging and had many photographs taken with our guests. He recieved many compliments for his wonderful playing and we would like to add our heartfelt thanks to Jim for making a special, proud day just perfect.